UseMyFunds was founded in 2002 as a pioneering service in the industry of online payments and online banking. Actually, it was the one of first ever companies that provided its clients with the ability to pay online with their banking accounts. In order to create successful payments with UseMyFunds, you don’t have to complete the registration process. You just have to be a citizen of a country that is in a list of UseMyFunds availability. And you have to have an active bank account. Or at least an e-wallet to be able to deposit to your online casino account or just to make any online purchases. But if you live in Canada and have a Canadian citizenship, you may open so-called “buyers account”. This way you can start using officially approved account, connected with your online banking, and the main goal of creating buyers account is that you can use PAD. PAD stands for pre authorized debit. If you get approved, after providing UseMyFunds service support with your personal data, you will be able not only to pay with UseMyFunds, but even to receive money the same way you usually pay. It is especially interesting for those who regularly play at online casinos and would like to use the same system for both depositing and withdrawing funds. To create a payment with UseMyFunds you just have to enter the website where you want to make a purchase. On the checkout page look for UseMyFunds in a list of options available. Click on it and choose your country and the bank you will be using. Next you will be redirected to your banking account where you must authorize the transaction. (While in some countries citizens can use UseMyFunds for paying with their e-wallets, there is no possibility of funding UseMyFunds with credit cards at all). Your money will be transferred immediately and both you and the seller of the product or service will receive a receipt on e-mail. Every payment takes no more that a few seconds and is carried out automatically, so check out all the information about future payment carefully. There is no option for canceling the payment. But at the same time payments are safe and anonymous, UseMyFunds is a medium between you and the third side, and your sensitive data is shielded with the latest online banking software. And once the operation is completed, once your money are on the receivers account, all the details about the transaction are deleted immediately. So there is literally no possibility of any malicious actions concerning your money or personal data. Due to a modern SSL encryption every UseMyFunds user can stop worrying about online payments at all, they are shielded by the latest technologies. 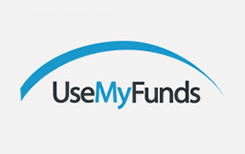 Most of the UseMyFunds features are absolutely free of any fees. And if you see some extra fee when paying with UseMyFunds, be sure, it is charged by your bank. Some additional features still can cost more than regular ones, for example, for Canadians, if they use PAD, each transaction will be charged with additional dollar. And for iPIN users, each transaction costs 2.50 dollars, or 2.5 percent. Online Casinos And UseMyFunds: How To Deposit? Once you verify your bank account and connect it to UseMyFunds, the payment becomes very easy and incredibly fast. It’s almost the same as with any other online bankings. You just need to select UseMyFunds in a list of different payment options on the site of the seller. Look for online banking category. When you find UseMyFunds, click on the icon and enter the exact amount of money you want to deposit to online casino. You will be redirected to the log in page of your online banking account, where you must complete the transaction as you always do. Once you confirm the transaction, funds will be instantly send to your account in online casino. When you choose UseMyFunds for depositing to online casinos, you don’t pay extra fees. Online Casinos And UseMyFunds: How To Withdraw? For today there is no opportunity to withdraw winnings from casinos with the help of UseMyFunds. The only exception are players from Canada and PAD transfers. In other cases you must look for different withdrawal method, for details and advices you may also ask the support center. With the help of the latest SSL encryption technology UseMyFunds have become one of the most reliable online bankings for online casinos payments. In most cases, except the Canadians who can use PAD feature to withdraw money, you can only deposit to online casinos, so you better try some other way of receiving your winnings.